A fabulous sibbing from a very fine semi-alba strain of this species, produced by a friend of ours in this species’ native country ! This fragrant species is quite compact for Cattleya lueddemanniana, bearing a brilliantly colored and ruffled lip and touched with flares on all its segments. 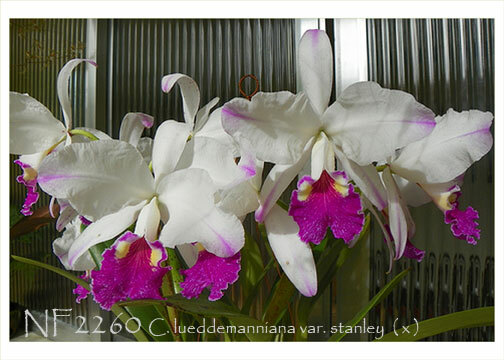 A great addition to every Cattleya species collection!